You’ve only got so much in your marketing kitty, so how do you choose where to spend those dollars when deciding between Google Adwords and Facebook advertising? Before we get into the slightly more technical bit, there is one key difference between these channels it is critical to understand. Intention marketing is placing your ad directly in the path of people actively searching for your offering – this is what Google Adwords does. 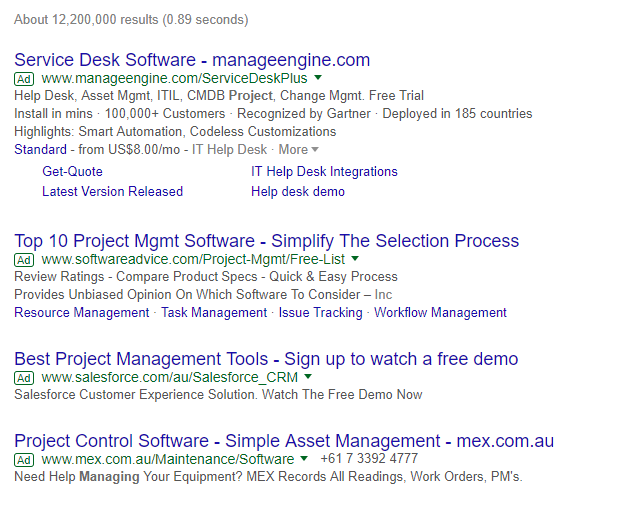 In layman’s terms, these are the ads that appear at the top of the search results when you type a query into Google. Interruption marketing places your ads in the path of people who you target as likely to have an interest in your product based on their behaviour, serving them in the content stream of the platform. Simply put, when you’re scrolling through Facebook or Instagram, these ads appear in your feed. When you understand this fundamental difference between the two advertising formats, you’ll have a far better understanding of why you may choose one over the other, or indeed use a smart combination of both tactics. Both of these methods are referred to as PPC or Pay Per Click campaigns, although Facebook advertising is often referred to as Social Ads. PPC solves one of the first challenges your business faces – driving traffic. Whilst there are a multitude of options that fall under this banner, the two best options include Google AdWords and the Facebook ad network. Google has the highest marketing share in Australia (well over 93%) while Facebook is the undisputed most-used social network in Australia. 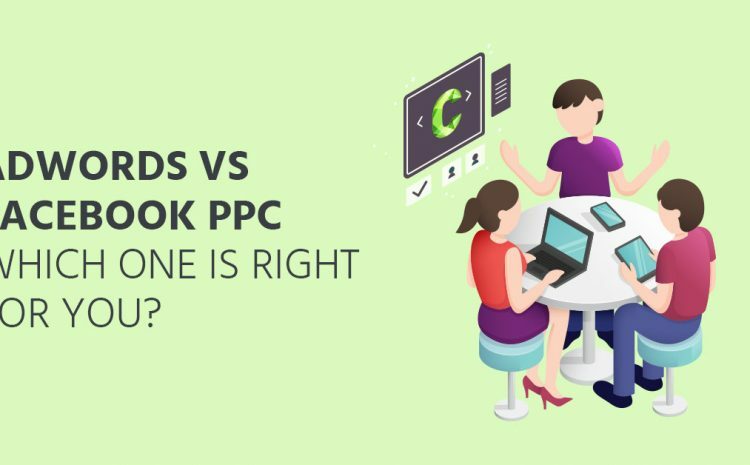 So both ad networks being the best in their industry, what you should choose for your PPC campaign? And, how do these networks compare? AdWords is mostly famous for its Search ads where your ads appear in Google search results page for your preferred search terms. Search ads help you rule the search engines as you can easily occupy the first spot for any keyword you want. You don’t have to spend time and money on SEO to acquire that magical ‘first place’ in Google search results. AdWords Search PPC makes it instant – provided your budget allows you to outbid others competing for the same terms. AdWords Display , on the other hand, is famous for its gigantic network of sites that have partnered with Google. Display network publishes your ad on websites where it is most likely to be seen by the most appropriate audience. It is estimated that Google Display Network reaches almost 90% of internet users via 2 million partner sites. This is the real strength of AdWords. You get to capture both search results as well as 90% of internet users. Facebook ad network has massive reach. There are 10.59 million Facebook users in Australia as of 2017 and the number will increase to 11.23 million by 2022. Facebook allows advertisers to use its network and reach their target audience. With Facebook ads, you can run ads on Facebook, Instagram, and Facebook’s audience network. The real beauty of Facebook ads is its cost. It is 7x cheaper than the next most affordable social ad network (Twitter). Which network is right for your business? 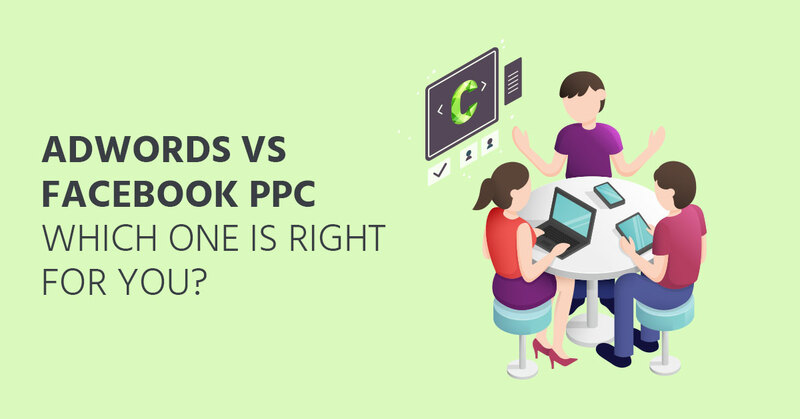 AdWords with its leading search engine and Facebook with massive reach, what’s the best option for your business’s PPC campaign? How can you ensure you’re running the right ad on the right network? Here are a few variables that will help you compare the two ad networks and will help you choose what’s best for your campaign. Facebook is cheaper than AdWords. The average CPC for Facebook ads in Australia was $0.70 while average CPC for AdWords in Australia was $1.43 in 2016. Additionally, you can run Facebook ad campaigns for as little as $5 a day. This makes Facebook an ideal ad network for small businesses with limited budget. Though clicks aren’t everything, testing the efficacy of your ads and ad network gets difficult if you don’t register enough clicks. So the Facebook ad network is your best bet if you’re on a small or very limited budget. Even if you have a huge advertising budget, you’ll want to consider supplementing your Google Adwords with Facebook. There are certain keywords that have insane CPC in AdWords, for instance, the “lawyer” keyword has $46.25 average CPC in Australia and insurance has well over $22 CPC. To compete in these niches, you must have a huge budget. 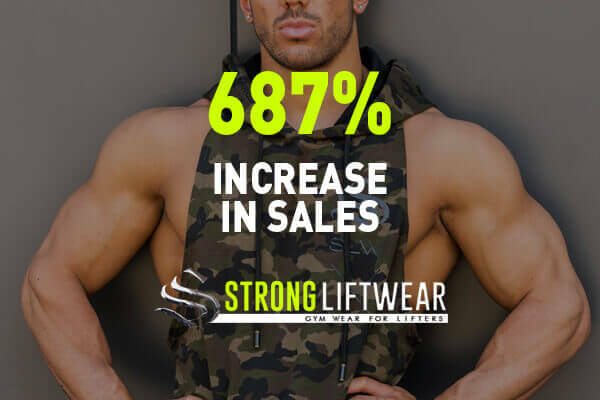 If you don’t have enough budget to effectively compete, switching to Facebook or supplementing your Google ad strategy will be a smart choice. Choosing the right ad network becomes easier if you know what exactly you’re goals are. If you’re interested in increasing brand awareness and boosting user engagement, Facebook ad network is a cheaper option for visual advertising than Google’s Display network and can, therefore, be a better choice. 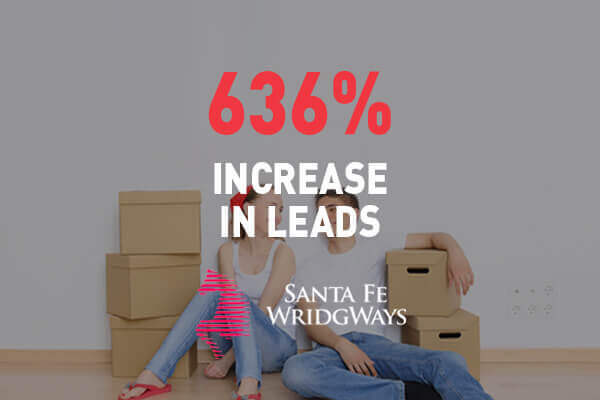 If your goal is to generate active leads and sales and drive traffic to your landing pages, AdWords is the most logical option. A search ad campaign will help you target people who are searching what you sell. Crafting clear objectives will help you choose between Facebook advertising and AdWords or indeed determine if you should use both and how to weight your investment. How can you test that theory and make the right decision? If you are a Lawyer wanting to advertise on Google but have a limited budget, you know your keywords are going to be amongst some of the most expensive to bid on. Instead of overstretching yourself in an effort to get one or two leads, you diversify your PPC ads and use both Facebook and Google Search. In Google search, you go after keywords that are more specific to your offering. On Facebook, you target your ads to people of the right demographic and life stage with the view that your ad will strike a chord. You run these campaigns for a period of at least 4 weeks, then determine which channel has provided the best ROI for your goals. Then you have your answer as to which channel is working well for you and how to allocate your marketing dollar over the next campaign period. Facebook is a social network, which means that there are certain niches that do naturally well such as home & garden, entertainment, travel, movies, arts, etc. There are certain industries that are more difficult to see success on Facebook such as legal services, finance, and education. A person who needs a lawyer will be likely spending time on Google looking for a local lawyer than waiting for one to appear on Facebook. Generally, if you’re in an industry that involves emotional buying, it will work on Facebook. Products that people don’t buy merely on the basis of emotions do well on AdWords. You can see by the example above, that having a service or product that is more difficult to ‘sell’ on Facebook, doesn’t necessarily preclude you from considering this as a suitable place to advertise – you just need to be much savvier in this space. 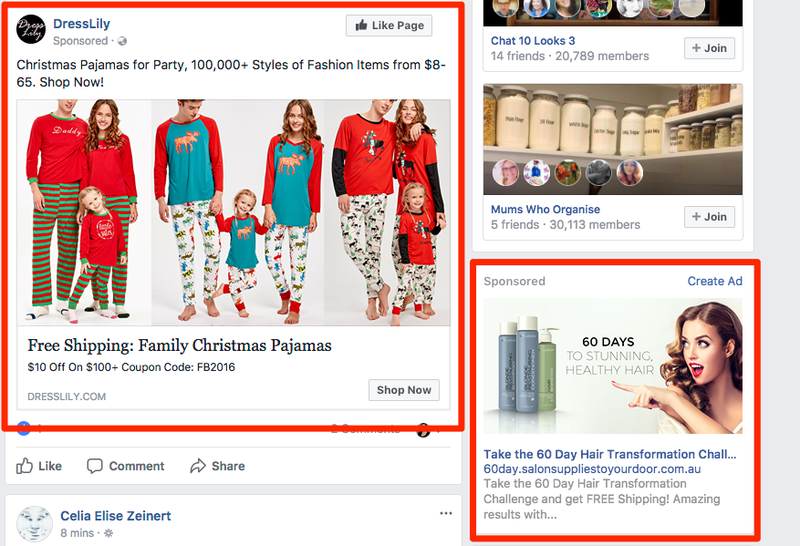 Facebook advertising works exceptionally well when you have a demographic-sensitive product and you need to present it to a specific group of people. For instance, people who are travelling to Melbourne in next 2 days, or males who just got engaged, or students in Sydney who just graduated. AdWords is suitable for ads that appeal to a large audience group. Though you can target people based on their interests, demographics, and even average monthly income, it is nowhere near as granular as Facebook’s targeting. Both advertising channels have their own strengths and weaknesses depending on your business goals. When used correctly they can produce exceptional results. The networks themselves are not inherently good or bad, which is why there is no clear winner in the Facebook versus AdWords debate. If you’ve been DIY’ing your ads on these platforms for a while now and are thinking “Facebook (or Google) just doesn’t work for me”, it’s time to talk to a specialist. Every business has different goals and a different path to reach them. 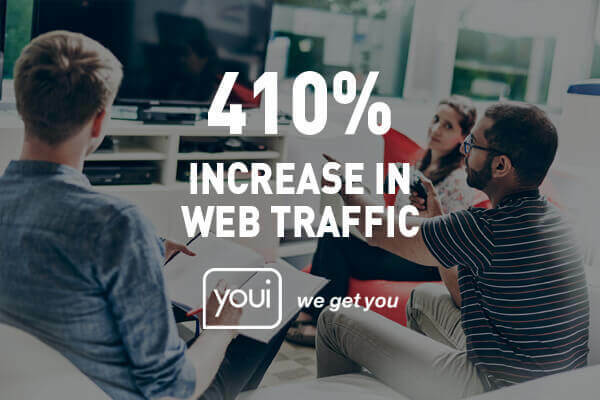 By partnering with a team of digital advertising specialists you can get the most out of your marketing dollar, knowing exactly what kind of ROI you can expect and how to get there. We know this recipe so well that we want to provide you with a completely FREE (that means free of obligation too), audit of your digital marketing. Simply contact us here.